It looked like Overwatch League fans were going to see yet another predictable series last night at the Blizzard Arena in Burbank, California. The undefeated second-seeded New York Excelsior strutted onto the quarterfinal stage with confidence—but they left with a sour taste in their mouths. The heavy favorites glided through the regular season of the Overwatch League with ease, and a dramatic all-Korean grand final looked to be inevitable. The two undefeated teams, NYXL and the Vancouver Titans, dominated the era of GOATs and it was only a matter of time before they’d face off against each other. NYXL didn’t lose to Vancouver, though, because they didn’t even have the chance—Seoul Dynasty swooped in and took them out in the quarterfinals. The team had a painfully average regular season, but they somehow stepped up and bested the top dogs. NYXL had a slow start to the series, but they were crawling back step by step. They couldn’t lose to Seoul, it didn’t look possible—but that’s exactly what was happening. They fought back with vigor and determination, and it looked like they were gaining momentum to take it all. In the final moments of the fourth game on Rialto, NYXL looked like the driving force. The team had all of the resources they needed to secure the map and head into a fifth and final game. The clock was ticking, but they had the ultimate advantage and Seoul looked to be dwindling. There were four minutes left to push the cart across the finishing line, but Seoul clawed back, winning teamfight after teamfight. But it finally looked like Seoul couldn’t hold any longer. The cart only had a few meters left to travel, and NYXL DPS Jeong “Nenne” Yeon-kwan had Graviton Surge ready and waiting. 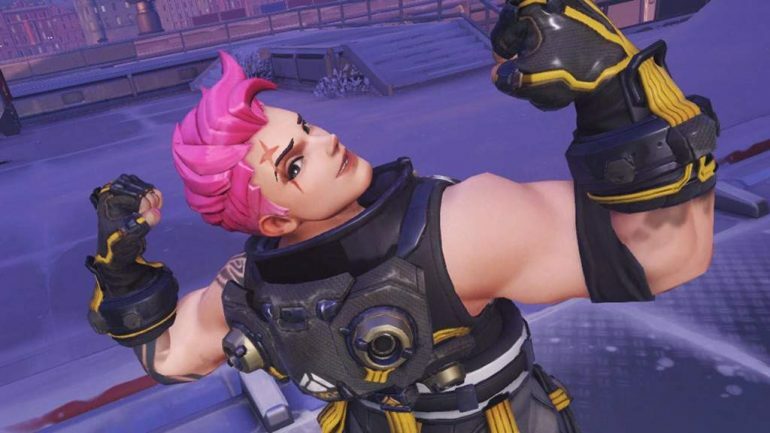 The Zarya player had everything he needed to win the teamfight and carry NYXL to the final game of the series. He got in position, and then, boom—he whiffed. He completely missed his ultimate, hilariously shooting it miles away from Seoul. And then it was all over. It was excruciating. It looked almost pathetic, and it seemed, at least for a second, as if he’d completely and utterly thrown away the series. All eyes were on Nenne—but was he really to blame? NYXL were defeated in a disappointing fashion, but the series shouldn’t be defined by one missed ultimate. It was just one of many mistakes, and while NYXL didn’t play at top form, Seoul were in their stride. In the final stages of the game, Seoul weren’t on the backfoot—it was NYXL. They were desperate to make a play, all while anxiously playing around Choi “Michelle” Min-hyuk’s Sombra. He took the game into his own hands and was carrying out of his mind. His presence was immense and he was playing in top form. NYXL were lost. Michelle was running around them in circles, pulling off the clutch hacks, taking out the key players, and swinging the game into Seoul’s favor. NYXL had two key ultimates left in the bank—Nenne’s Graviton Surge and Bang “JJoNak” Sung-hyeon’s Transcendence—but they were easily nullified by Michelle’s EMP. Nenne had to take out Michelle or it was over. He had the choice between losing the teamfight or assassinating Sombra. He found an opportunity to pick Michelle while he was off guard, but he missed. He threw the chance away, and then it was too late. It was over. But what else could he have done? If he had been successful, the series may have been a completely different story. NYXL would have taken it to a game five and then anything could have happened. But it didn’t. Michelle juked Nenne—it’s that simple.